This event is literally (ok, figuratively) mind blowing: To publicise the release of the game Resident Evil Revelations a 'blood' swimming pool is popping up for two days only. Yes, you can swim in the blood, amidst floating debris. There will also be zombie lifeguards (to keep you safe) and special merchandise. Mind blown! It's on the Saturday and Sunday of the late May bank holiday, and it's free, but there are only 100 tickets for each day, released at 9am on Monday 20th May. 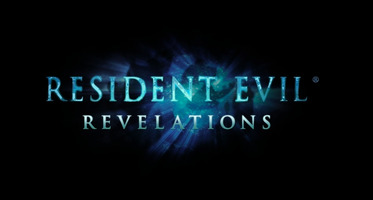 "Marking the release of Resident Evil Revelations - which sees a return to the survival horror roots of the series - Capcom are set to open a ‘blood’ filled swimming pool nestled in the shadow of the Olympic stadium, London, UK. In addition to its bloody appearance the swimming pool will offer floats in the form of human torsos, feature brains and intestines as lane markers, have Zombie lifeguards on duty and even offer a diving board in the form of a ‘freshly killed human corpse’. Members of the public will be joined in the bloody red coloured water by terrifying sights like: floating eyeballs complete with tendrils and drifting blood clots. Whilst the dreaded swimming-pool-floating-plaster-situation we remember from our school days will be made even more disgusting with the use of bloody bandages. Zombie lifeguards will be on duty ensuring safety and enforcing a unique set of zombie pool rules. Zombie pool rules prohibit brain eating, bleeding or limb shedding in the pool. The public will need to collect any commemorative game merchandise they wish to keep from the bottom of the diseased pool, which will also be littered with bottles of both the T-Virus and Anti-Virus vials. The Resident Evil Revelations blood swimming pool is set against the backdrop of abandoned cruise ship Queen Zenobia, where much of the action in Resident Evil Revelations takes place, with elements recreated in an East London canal side location. All the expected swimming pool facilities will be provided on site with a bloody twist, Capcom advising that those who are not a fan of blood splatter on their towels bring their own. Brain swimming pool caps will be provided to all those who wish to swim in the pool with blood splashed goggles also available for loan. The 16ft by 32ft pool is over one metre deep and contains an estimated 55,000 gallons of water (it would have taken the blood of 11,327 individuals to fill the swimming pool with human blood). Found a short stroll from Hackney Wick Station the open air pool is located in Jupiter Wharf, open to the public for two days on the 25th & 26th May. The blood red water has been created using a secret mixture of non-staining colorants specifically developed for the installation. Creating a unique and terrifying experience to mark the start of the open-air swimming pool season in the UK, the pool is only open to children aged 16+ and those under the age of 18 must be accompanied by an adult. Anyone wishing to swim in the Resident Evil Revelations pool will need to gain their free ticket in advance by visiting: www.residentevil.eventbrite.com. Ticket sales go live on Monday 20th May at 0900, with only 100 tickets available for each day." Tickets - It's free, but only 100 tickets are available for each day. Tickets will be available here from 9am on Monday 20th May.